Sanctuary Powder Free Non Latex Dental Dam are pre-cut in 6″x6″ sheets. They are designed to have high tear resistance and good elasticity. 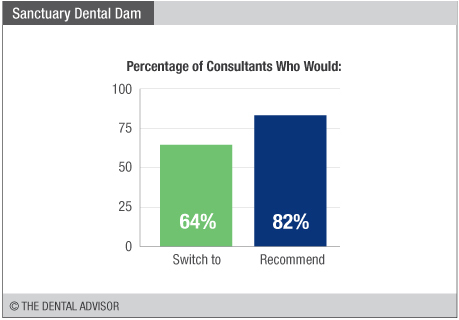 Sanctuary Powder Free Non Latex Dental Dam is fabricated using synthetic polyisoprene. It is 100% latex-free and non-toxic, eliminating the possibility of latex-related allergic reactions. This dental dam is also powder-free, mint scented and has a purple color for good contrast. 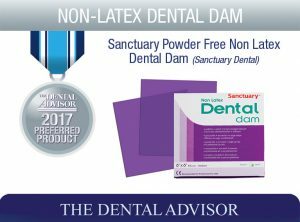 Sanctuary Powder Free Non Latex Dental Dam is available in 6″x6″ sheets, packaged in 15-count boxes and 40 boxes per case.